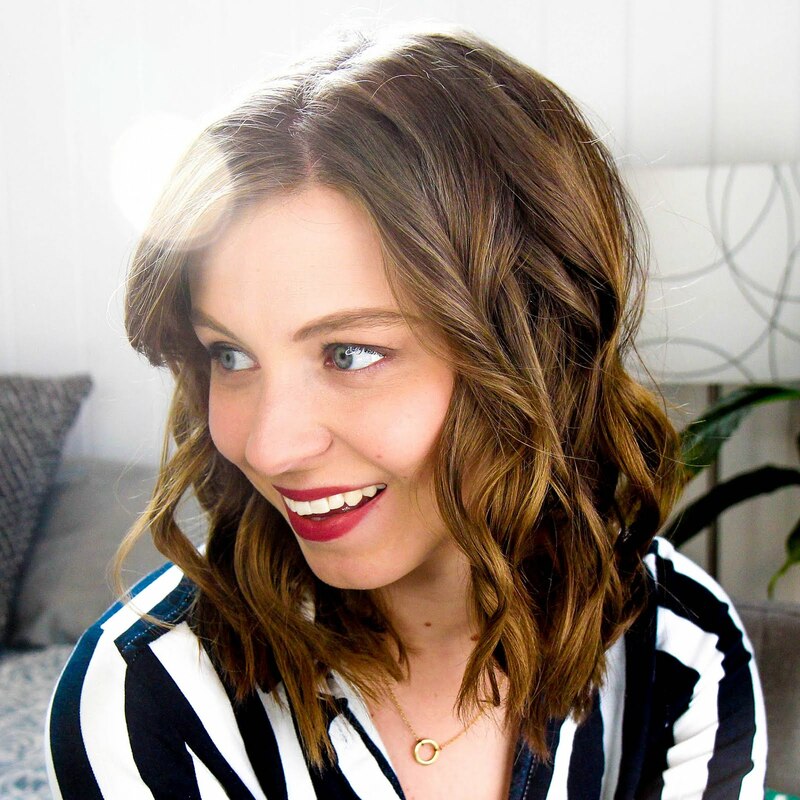 I find it odd how I rarely talk about such a huge part of my life on this blog. So I'm making an effort to talk more about Oh, Hello and everything we're doing with it from week to week. I'm not sure what form it'll take, but let's just keep it simple for now and just share some new things we've gotten up to lately! Our home goods launch happened at least a month ago now and it went really well. 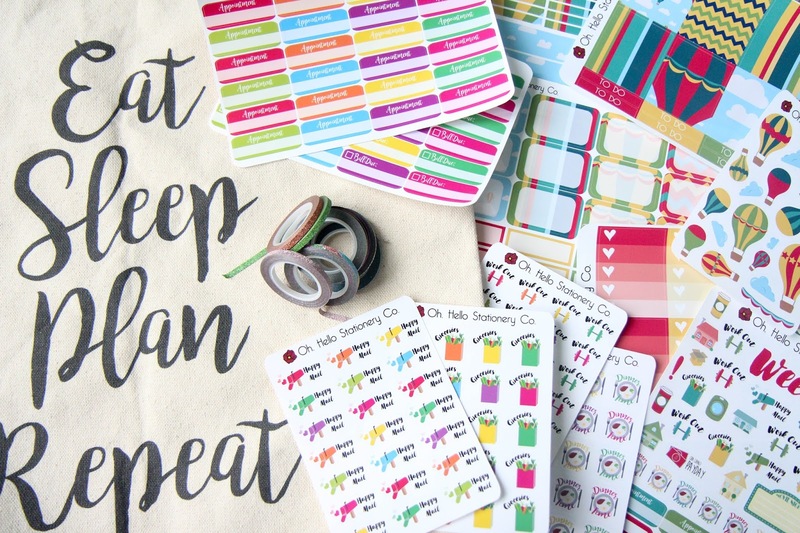 The canvas tote bags are definitely my favorite and the Eat, Sleep, Plan, Repeat one is just spot on. I can't wait to keep expanding the range, but there are just too many new sticker releases to create that it's been put on the back burner for a little bit. For now I'll just have to enjoy this one! We recently released a new line of glitter washi tape! At first I was super skeptical because I for one do not want to be cleaning up glitter for the rest of my life, but this stuff is amazing. The glitter stays firmly on the washi and it's just so bright and perfect. 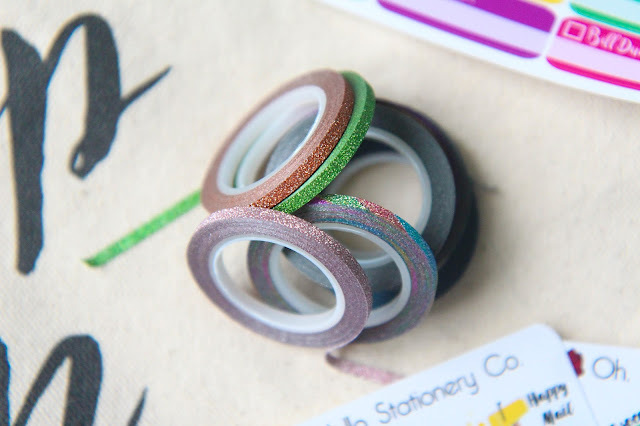 Thin washi is definitely worming its way into my heart and soon I'll be using it in some of my plan with me's. I'm still figuring out how to work it into my spreads! The sticker releases are always my favorite things still. They can't help but get this planner addict excited. We're remaking all our icon stickers and released the first wave of them last week. I like them so much more than the round circles we did the first time. The happy mail ones are definitely up there for the top spot in my heart and give me an excuse to order more things just so I can use them! We also spent a good solid week revamping our weekly kits. We just weren't happy with them anymore and wanted to take a lot of what the Hellogians were saying to heart and make them even better. 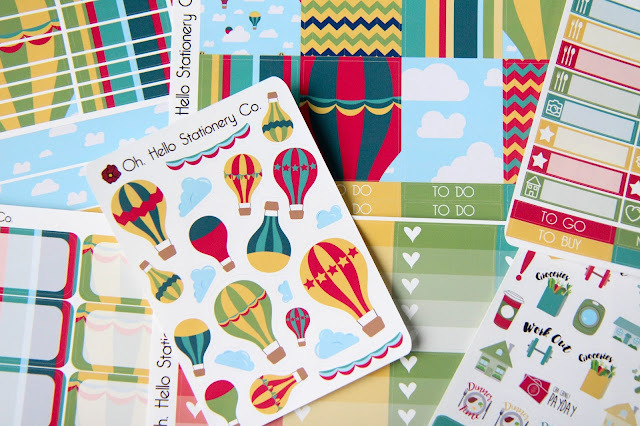 There are more headers, more labels, and just a lot more and I am so freaking excited about them. We'll be releasing some newly formatted kits in a week or so in the shop, but the August subscription was the first to get a makeover so we can start sending them out as soon as people order them. It's love. Not to mention the hot air balloon theme being so dang perfect. 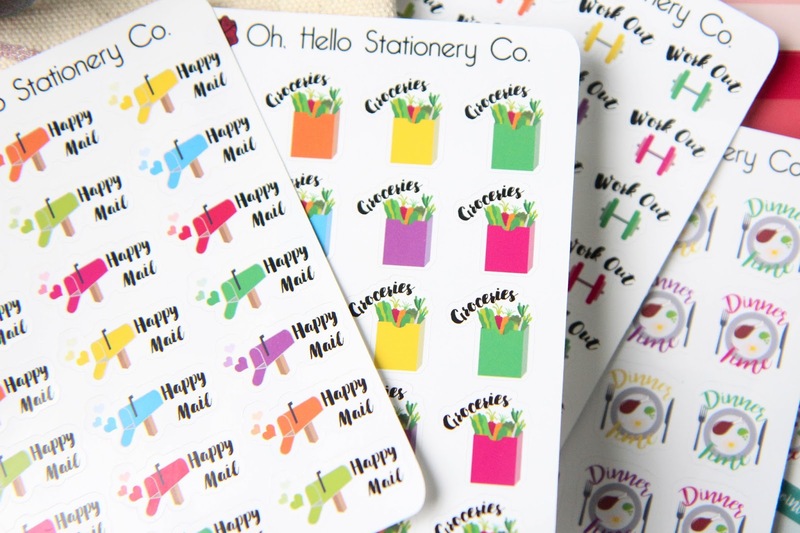 There's always something new happening at Oh, Hello and I can't wait to share with you the adventure and adorable new products!